Gareth Garratt, who has cerebral palsy, cannot use his hands to game and must control his mouse via his chin. 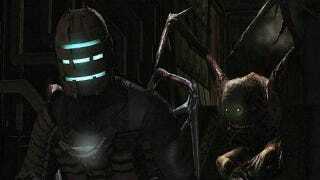 And as Kotaku previously posted, he is campaigning to get customized controls for Dead Space 2. Ask and thy shall receive, because it looks like he's getting just that. After purchasing Dead Space 2, Gareth discovered that he could not map the "walk forward" command to his mouse, leaving him unable to control the character with his mouse via his chin. He felt like he'd wasted his money. An online petition has been building, however, amassing almost 25,000 signatures and asking that game developers offer customizable controls on all games. Visceral Games, the studio behind Dead Space 2, heard the message, and the game's executive producer Steve Papoutsis says a patch is one the way. "The Dead Space 2 team is aware of the issue that disabled players are having with Dead Space 2 PC," Papoutsis said in an official statement. "In fact a number of folks on our team are so passionate about getting this fix done that they are currently working hard to allow players to re-map key bindings to the mouse which should help disabled players enjoy the game."